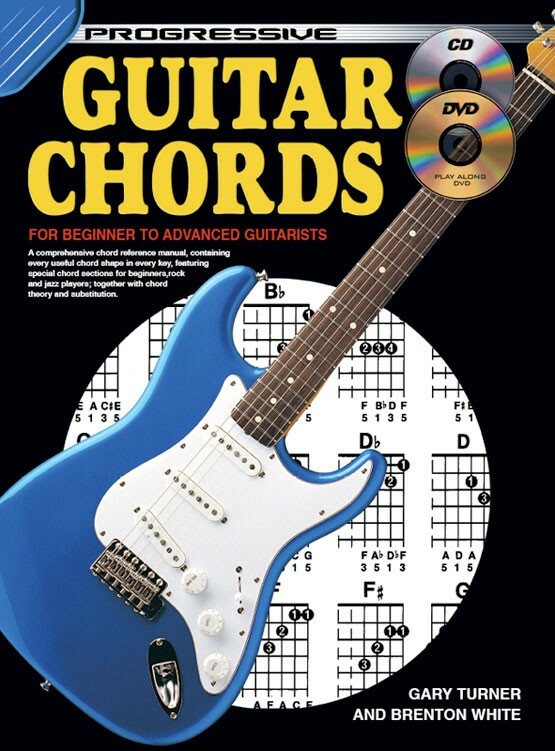 A comprehensive chord reference manual, containing every useful chord shape in every key. This book has been specifically designed for players of three different levels: the beginner, for whom there are open chord sections and simple chord shapes in all keys; the semi-advanced player, who will need a thorough knowledge of bar chord shapes in all positions; and the advanced player, who will refer to the movable shapes for chords widely used by jazz guitarists. I picked this book up last night from my local music store to study some movable chord shapes, i took it home and opened it up again and to my surprise there was a roughly 20 page long summary of music theory, a topic which previously i have struggled with. i own books upon books upon books upon books on my bookshelf 3000 pages of music theory. basic guitar? piano? timing? intermediate and advanced. I've read them all and still struggled to understand some music theory concepts. The 20 pages in the back of this book describe music theory for the guitar in a completely direct logical easy to understand way and cover mostly everything that you will need to know. i flipped it open spent 40 mins reading that section and have increased my knowledge about music theory by at least 10 fold. But in its roots this book is a chord book not a theory book and it excel's at that too. chords are presented in a logical fashion in sequential order a b c d e f g it goes through all the important kinds of chords you would expect such as major minor augmented diminished etc shows you movable chord shapes bar chord shapes and most of all teaches you an understand of how a chord is constructed so you can easily find an A Major anywhere on the fret board without needing to refer back to the book. It also has an excellent section on transposing in the theory section at the back and a great list of Keys and their Relative Minor keys as well as the scale that makes up that key and the chords you can use in said key. 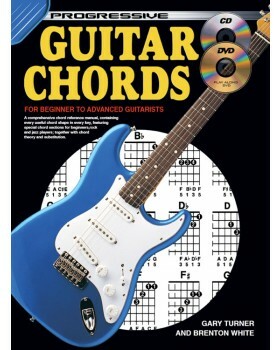 This is one of the few chord books worthy of space on my shelves. Most just lay out page after page of the same shapes in all keys, expecting you to either memorize all of that information out of context or refer to it on an ongoing basis. Not very practical and not very useful in the moment of musical expression. This one helps you learn how to structure a chord shape by indicating which notes of the chord are what degrees, and it shows you how each moveable shape is derived. There's also a fairly comprehensive section on basic music theory and a few useful appendices.